CHANGE YOUR FURNACE FILTER: Help your furnace run effectively and efficiently all winter long by regularly changing your filter. You should also make sure you are keeping your furnace maintained and cleaned as well. 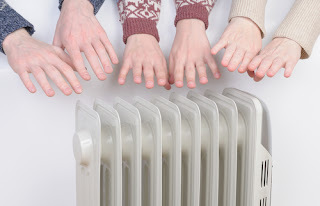 INSULATE YOUR WINDOWS: You can lose a lot of your home’s heat and be subject to icy cold drafts through your windows. Most hardware stores sell reasonably priced window insulation kits that can really help keep your heat where it belongs… in your home. RUN YOUR CEILING FANS IN REVERSE: It may be counter-intuitive to run a fan in the winter, but running it in the reverse direction can actually warm your home. Running your ceiling fan clockwise will push the warm air along the ceiling downward. Stay warm and safe this winter Georgians. If your home needs more extensive work or major repairs to winterize your home, we can help. Call Lang Restoration today for a free quote.